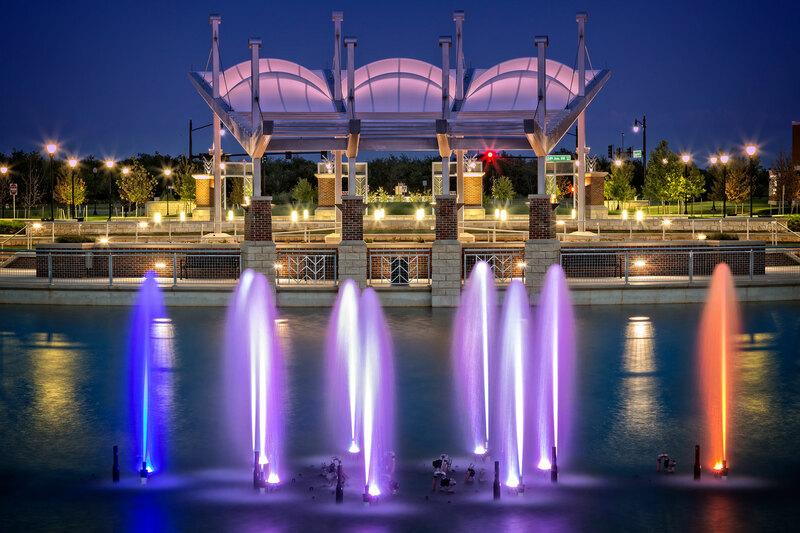 We offer complete services including water feature design; custom manufacturing; consulting; architectural fountain restoration and renovation; mechanical engineering; equipment service plans; and nationally credited educational resources. Our range of features includes, but is not limited to architectural fountains, stationary fountains, interactive water features, reflecting pools, water walls, floating pond fountains, and fogscapes. Delta Fountains is an industry presence, actively involved in projects across the United States and around the world. Our passionate approach and stamina, along with our expertise, has lead to our leadership being recognized worldwide in the industry. Delta’s ability to continuously develop and integrate technological advancements, embrace challenges and cross apply techniques used in allied industries helps us stay on the cutting edge as fountain designers and manufacturers. We offer a wide range of fountain design services that include schematic design, design development, construction documentation and construction administration. We can provide full-service fountain design services or à la carte services. With our own on-site team of fountain designers, a metal fabrication shop, a fiberglass fabrication shop, and an electrical controls shop, we are capable of developing and manufacturing custom fountain equipment, parts and pieces, and controls to fit any water feature. Our experienced staff are often called in as fountain consultants to review water feature designs and to oversee fountain equipment installations. Our team of consultants are often called on to act as a team resource to landscape architects in the pre-planning phase of design. Our Principals believe proper education is key to ensure effective fountain designs and water effects. We offer accredited continuing education courses through AIA and LACES. Our presenters will come to your office in order to provide an intimate and convenient learning experience.